Last week our family traveled to Airdrie for Jack’s first out-of-town hockey tournament. We were all super excited for everything the weekend had in store, but I had no idea I would walk away learning the lessons I did. On the ice, the kids got whooped… big time – like 26 to 2, every game. In the stands, my heart was breaking for Jack and his team. I was crumbling inside thinking about how hard this is on them, how sad they must be about losing game after game. I was preparing the words of encouragement and support to lift Jack up when he got of the ice. How would they ever want to keep playing after losing so badly? How fun is it for them if they just keep losing? Oh man, I just wished they could get a win, feel a win. When I met Jack after his last game, I was all prepared to console him and help him get through this, but I was totally and completely caught of guard, and quite frankly, put in my place. He looked at me like “What’s wrong? What’s the deal? We had a BLAST! !” I was in SHOCK. What’s wrong? You guys didn’t win a single game? But, in that moment I realized that while in the stands I created a story for what I assumed my son’s experience was during all those games. My story of his experience was based completely on MY experience of those games. I completely focused on the numbers on the scoreboard. I thought their joy, their fun, their success was measured by those numbers, too. With every point scored against them, I became more sad and worried for them. If I’m being really honest, I wasn’t having as much fun because they weren’t winning. While I was sweating with anxiety watching them play, he was on the ice having the time of his life. He shared with me, that he was just so happy to be out-of-town playing hockey with his buddies! 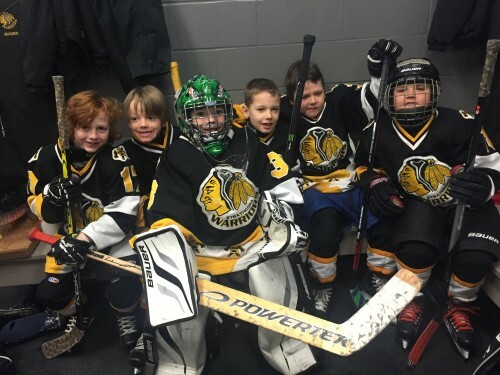 Jack and his teammates LOVE hockey, and they showed up to every game giving it all they had, doing their very best. Why? Because they LOVE hockey, and doing their best was FUN. They worked their butts off and had a BLAST! They weren’t measuring success against the numbers on the scoreboard, they were measuring it against their own personal abilities, their own personal best. After pulling my jaw off the floor, I reflected back on what really happened in those games. And, what I saw was something completely different than the initial experience I had. I could now see a group of kids working as a team, cheering each other on at every moment in the game. I saw kids who learned how to dig a little deeper and feel what it is like to not give up even when it’s impossible to win. I saw a team who would rather be playing hockey than not, and who cherished this opportunity as a time to be together on the ice… and off! I saw a team who, regardless of the score still chased the kid on the break away and blocked every goal like they were playing for the Stanley Cup! I saw a group of AMAZING kids, and stand up sportsmen! Since that weekend, I have been thinking about everything I learned from Jack and his team, and I was reminded about how to show up in my own life. – If I am doing what I LOVE and I show up doing it with everything I got, I will still win even when I’m getting beat up a bit. – My experience in the arena is the same as Jack’s on the ice. I am an extremely competitive person and only after this experience did I actually realize that the ball hockey team I play on has lost every single game. Yet, I always come out of the arena feeling, exactly as Jack did, like a winner. Why? Because I played my best and I was with people I love. – Life is about connection and relationships. And, to experience powerful connection I must show up fully and completely as myself, doing my best, being honest about who I am (weaknesses included). When this connection happens, I am fulfilled. And this is why I love real estate. It’s about people. I get to feel this connection with every client. – That having good competition helps me sharpen my tools, plan new moves, and come out stronger than I would have otherwise. – Surrounding myself with people I love and respect is how I win before I even begin. 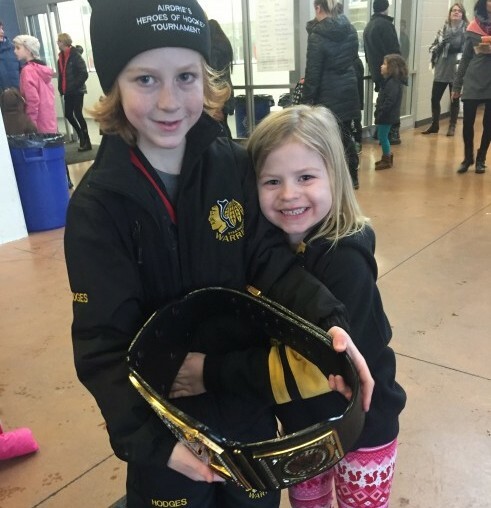 When my son first started hockey, I quickly fell in love with all aspects of the hockey life. Jack is seven and in his third year of hockey, and I’m quite certain this is the first of many powerful lessons I will learn from my son and this game. I know that many of my clients and friends have or had children in competitive hockey and other sports. I’m so interested to hear what some of the greatest lessons you might have learned from your children and their sports. Please, do share.